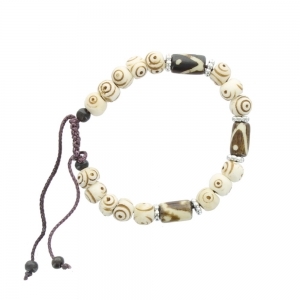 Cord and Bead Bracelet - Brown. 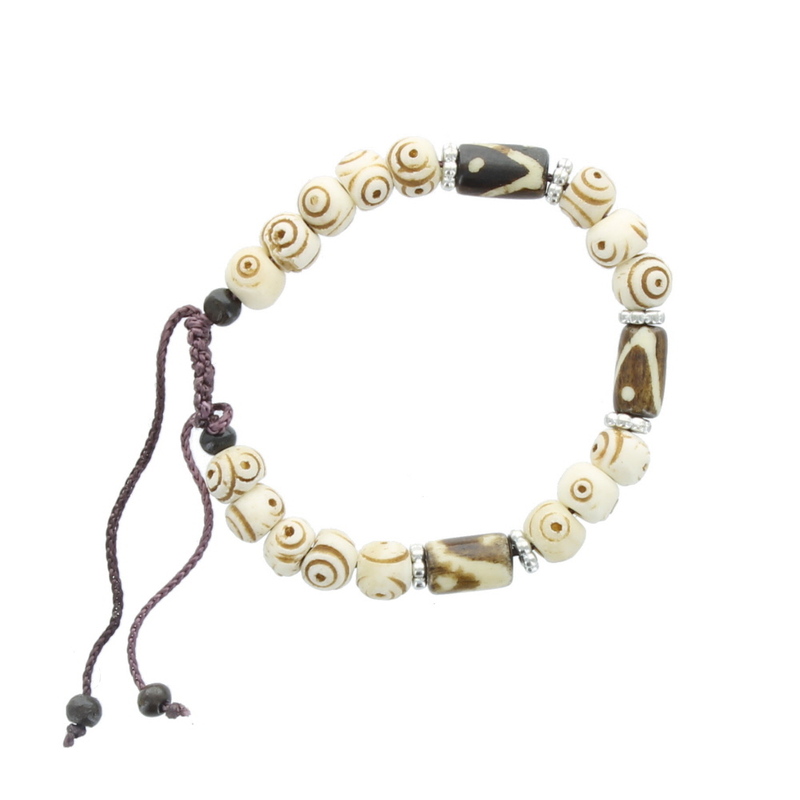 A beautiful corded bracelet with ivory coloured and chocolate brown beads with circle and dot designs, also includes silver coloured spacers. A simple yet stylish fashion bracelet available individually or in a pack of 10 for a special bulk price!